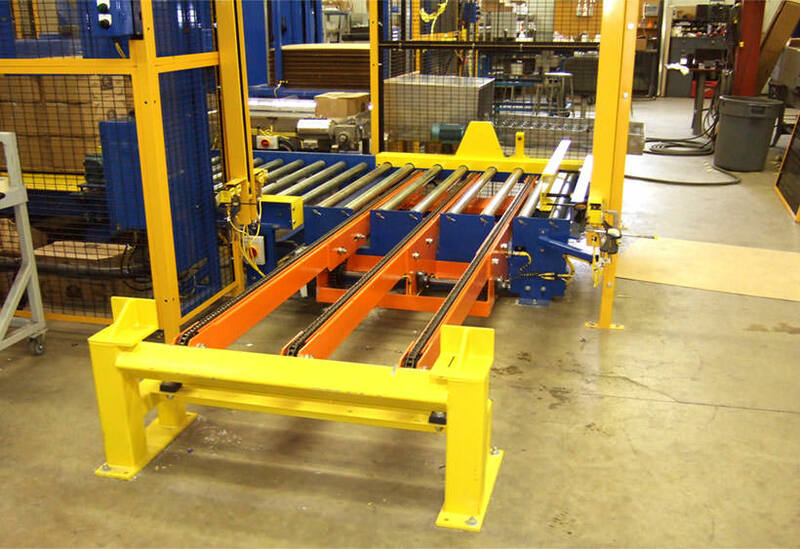 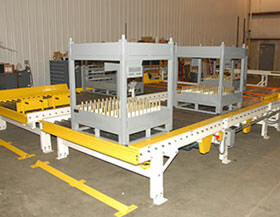 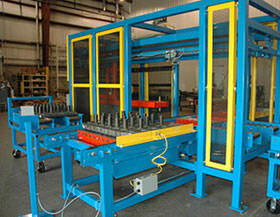 Transfers are used to convey loads 90° from the conveyor path. 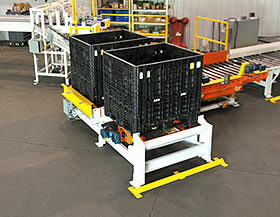 The load requires a bottom surface that can be carried directly on the chain strands. 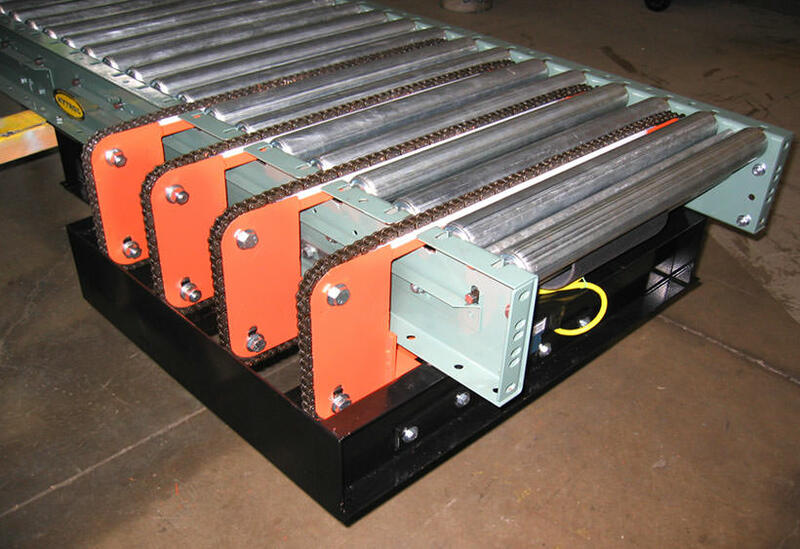 A wear bar is used to support the chain/belt and these strands are driven by a center drive. 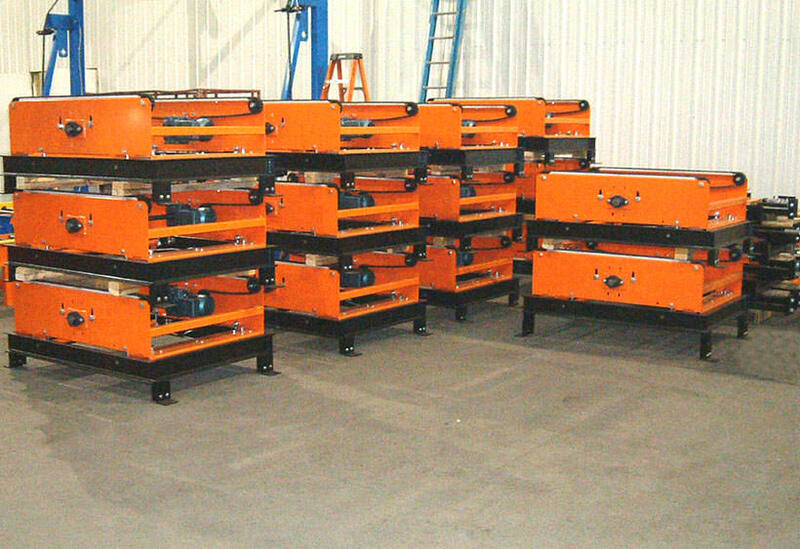 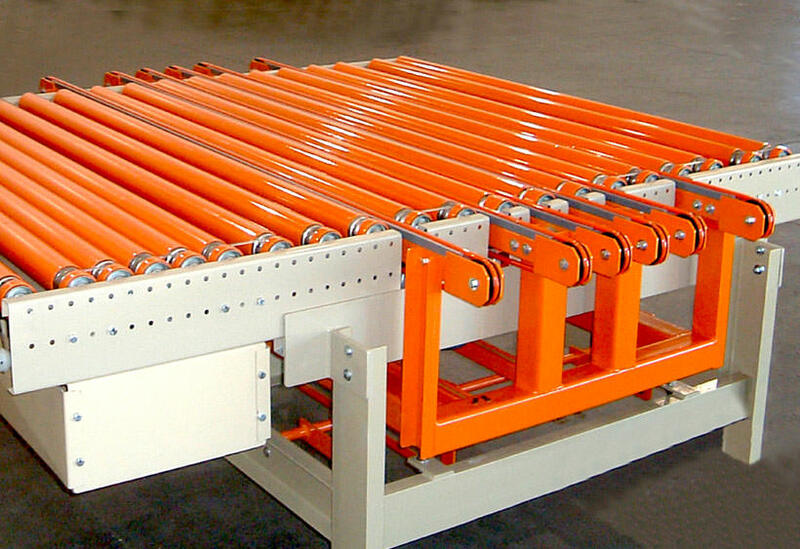 Capacities range from small light weight loads up to large racks weighing several thousand pounds. 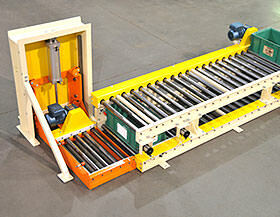 A wide variety of widths and lengths are available. 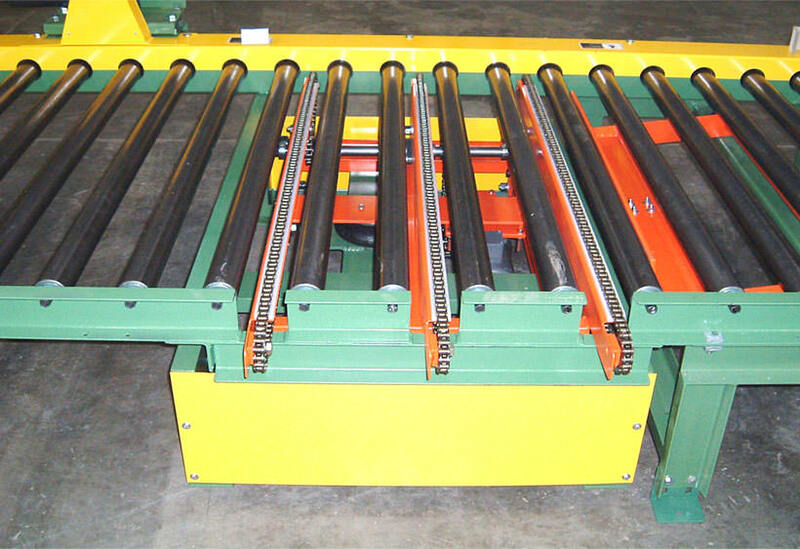 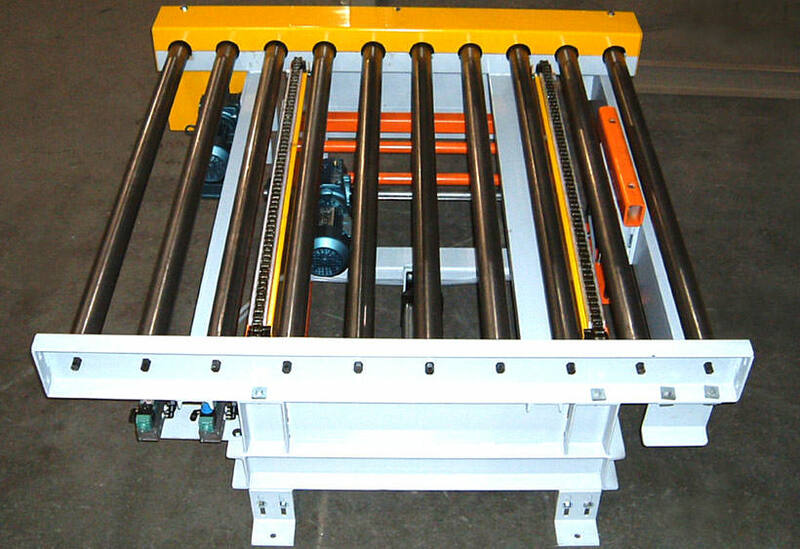 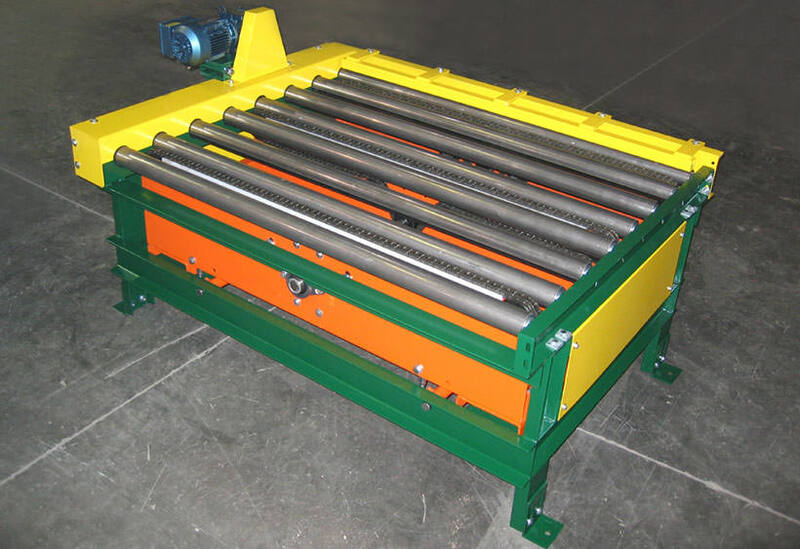 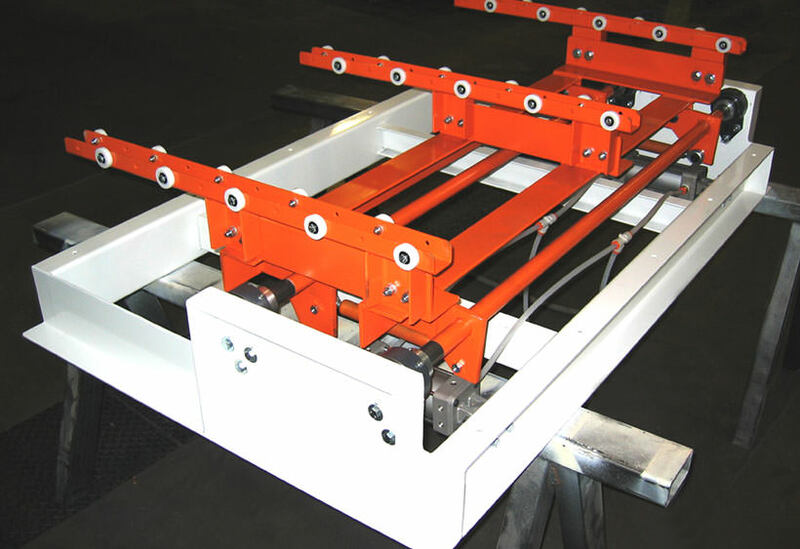 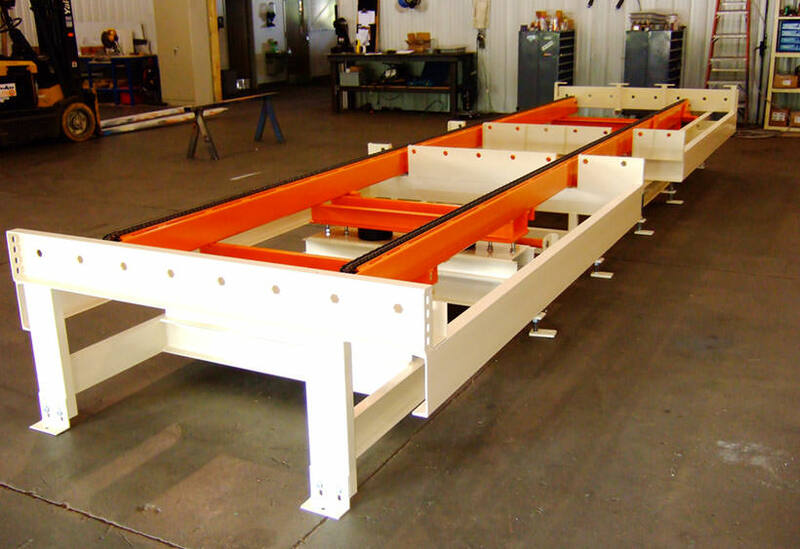 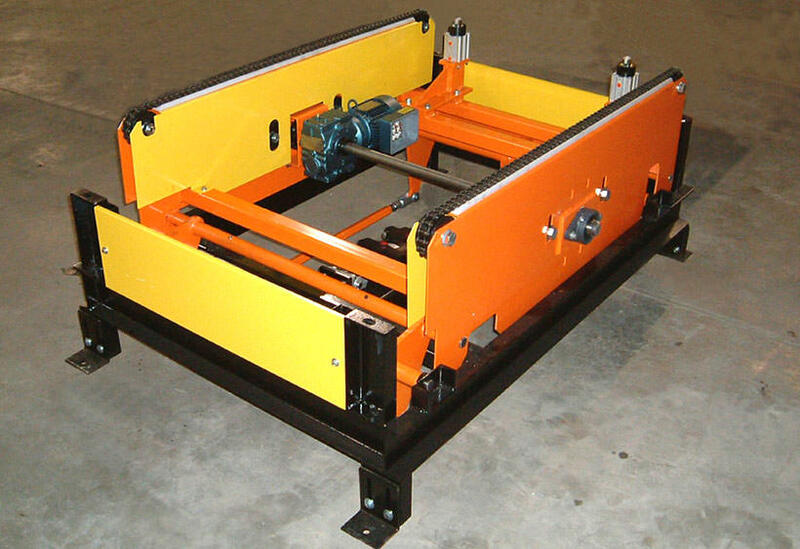 Transfers are generally used in conjunction with CDLR conveyor, chain conveyor, or gravity roller conveyor.